‘On the one hand now we are facing a difficult time [with trade barriers],’ he said, ‘but on the other hand this is a challenge and an opportunity to develop the [vision] market in high gear,’ adding that there are still a lot of market prospects in Russia. ‘The Russian market offers great potential for the machine vision industry and we encourage foreign guests to benefit from all that our show can offer,’ Matveev stated. The show will have representatives from leading industry associations such as the union of innovation and technological centres of Russia, and domestic suppliers of machine vision systems and components. 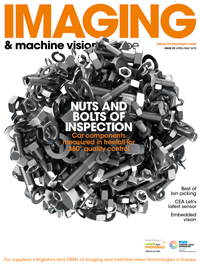 He gave the example of one of the members of an industrial association called ‘Mega’ delivering thousands of devices with machine vision components to car services. The Mega association is an industrial partner with Business Media Russia and supports Vision Russia, as they consider it to be a necessary tool for the Russian market renovation, Matveev said.